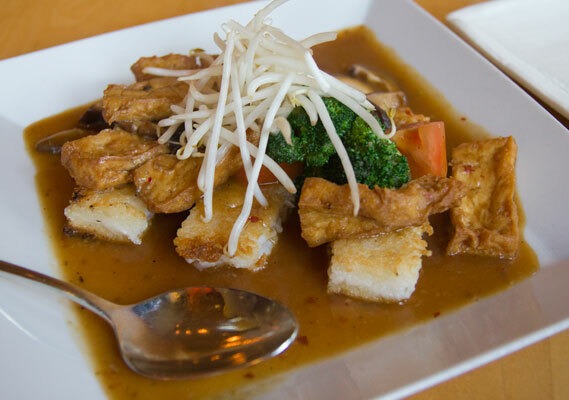 Zadin is a restaurant that’s been abuzz in the gluten free community for quite some time and their contemporary take on Vietnamese cuisine shouldn’t be missed. Clear gf indications are placed on the menu and waiters are knowledgeable about substitutions, allowing gluten free and vegetarian customers to order with ease. Along with several gf entrees, there are a number of excellent pho noodle bowls and appetizers to choose from, most notably the fried fish spring rolls. 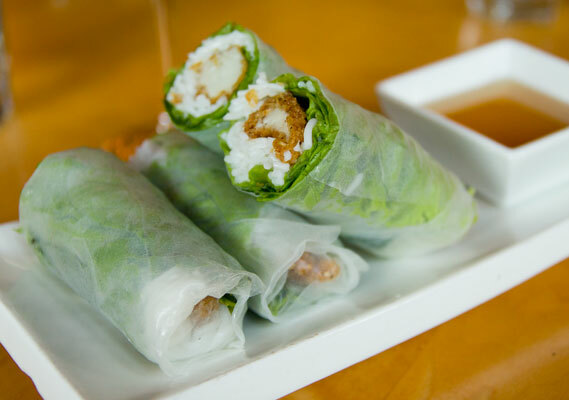 The soft rice paper rolls are filled with crispy fried fish, thin rice noodles, and fresh mint, they’re accompanied by a tangy dipping sauce; this dish (pictured above) is sure to make you a repeat customer. Just really good food – even the non-celiac members of our group loved it. On the brighter side however, the silver noodles were absolutely to die for…. Maybe ill go and eat in again sometime, and skip the pho since i liked everything else!